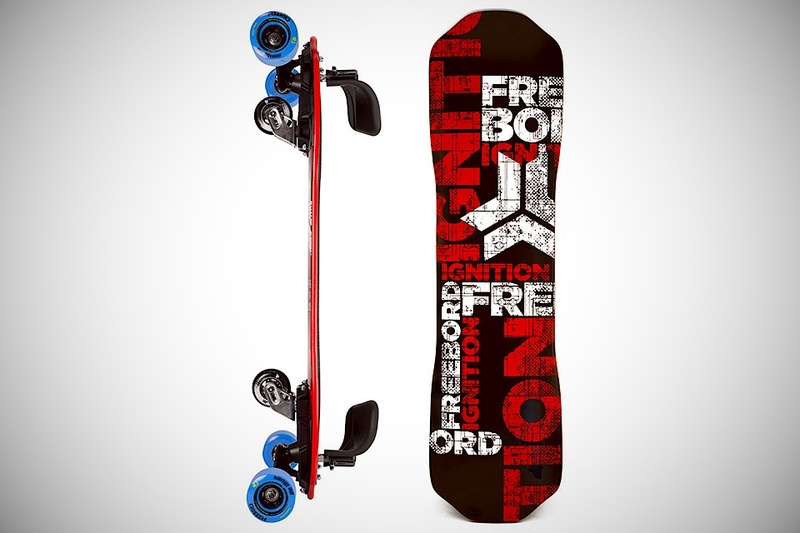 If you really like snowboarding but there's no snow to be found, the Freeboard might make you happy. It may look like a skateboard but it doesn't ride like one and it has 6 wheels instead of four. Although four of them are normal skateboard wheels, it's the two spring-locked center wheels that makes the difference. It allows the board to slide laterally like the motion of snowboard riding. Just remember to wear all the recommended protective including helmet, wrist guards, and pads because if you fall it's going to be on pavement instead of snow.